Purchase your Auto Tuning Parts or Replacement Parts easily and safely with delivery to your country! Our convenient online shopping cart and payment geteway system allowes You to pay from any part of the world! Ownership verification available! Use our online parts catalogue EPC in order to find out part number of the spare part that you are looking for by entering VIN number of your Toyota, Lexus, Nissan or Infinity vehicle in Search frame. 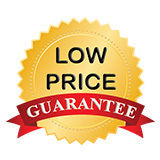 On step of pricing the item by entering part number in our quick search. We are selling Genuine, Aftermarket and Performance parts for most popular car Makes & Models! Auto Spare Parts for Japanese, German or Korean cars are priced low to make them affordable. Carbon fiber spoilers, Performance lighting, Wheel rims, Chrome trims, Exterior bodykits, Grilles, Mufflers and more dedicated or universal parts with best prices! 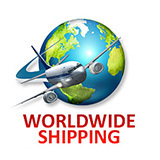 We will choose the best reliable and cost effective forwarders to your destination! 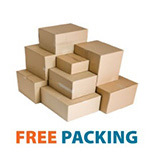 Delivery via Dhl, FedEx, Aramex, UPS, EMS ensures high level of service at all times.